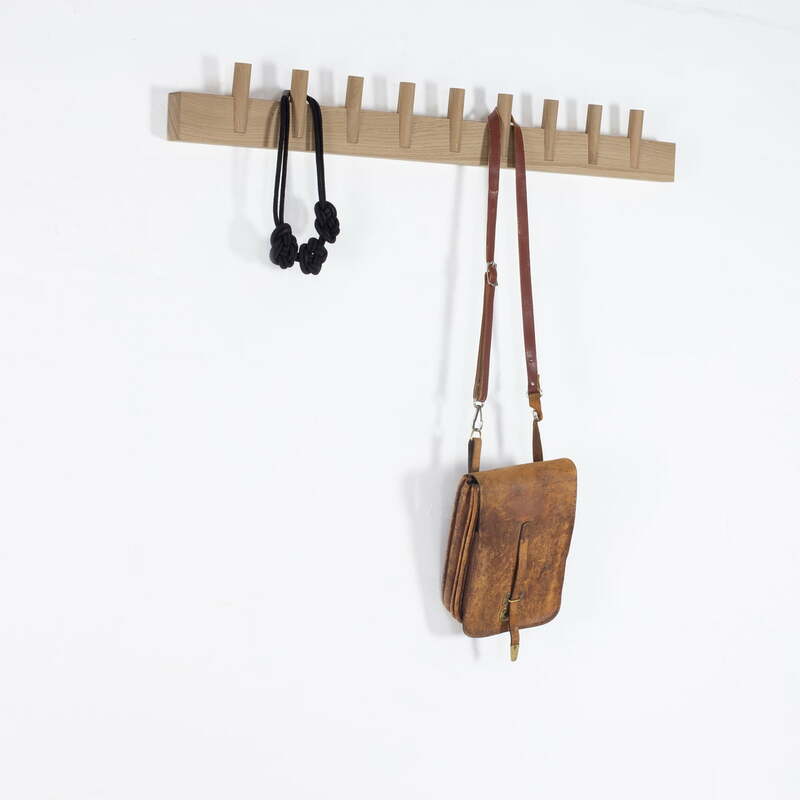 Steqs by kommod is a hanging coat rack with a simple design, that convinces its users with its high level of functionality. 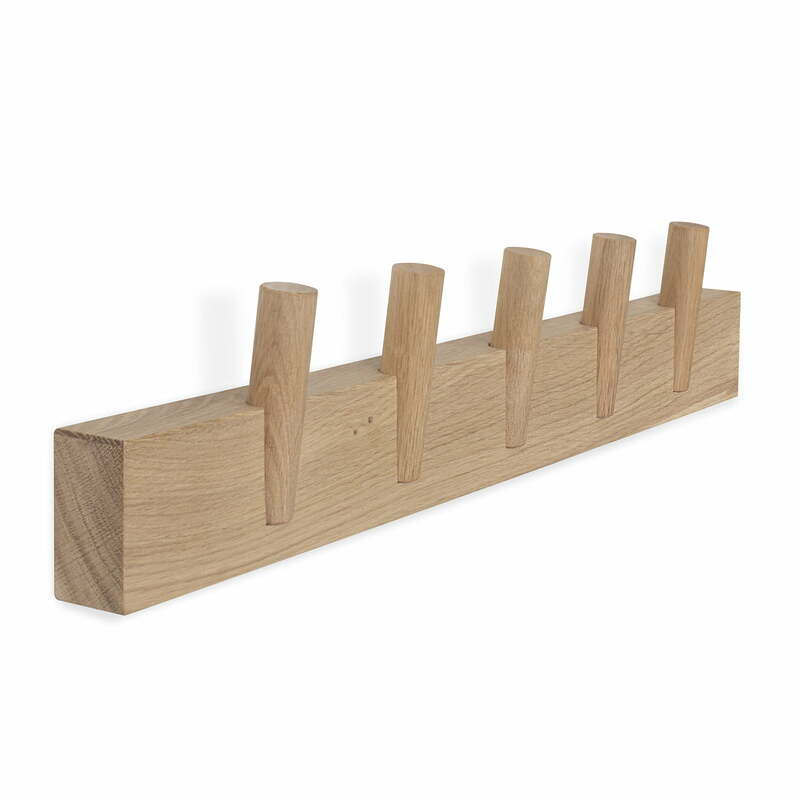 The coat rack consists of a board for the wall and oak bars as coat hooks, which can be inserted into the existing oblique holes as desired. 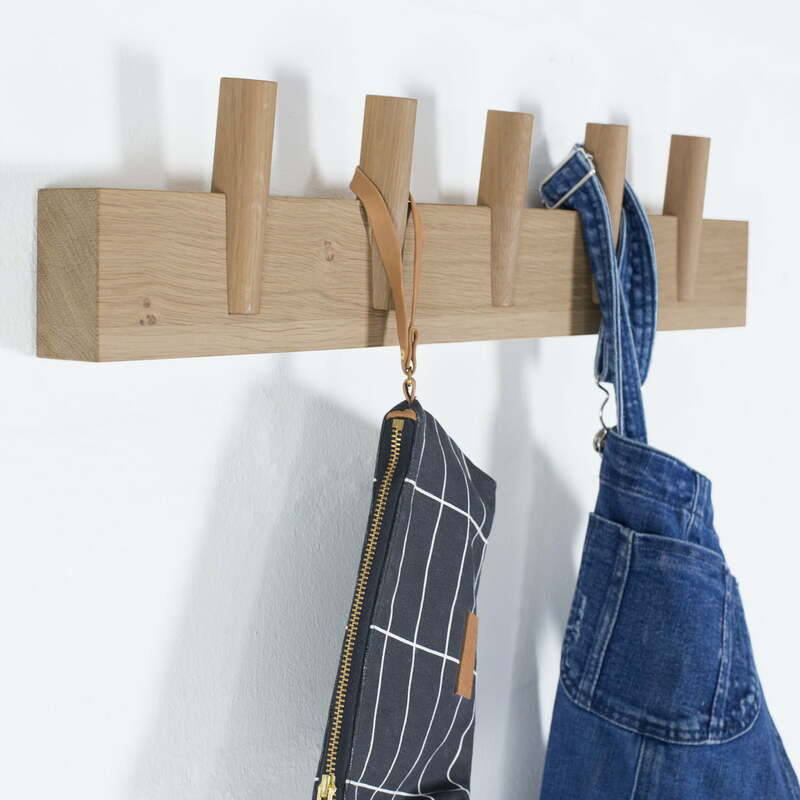 The hanging strip on the wall can thus be structured flexibly and always offers a place for jackets, coats, tea towels and towels. The coat hooks can be reconnected at any time. The wardrobe and hooks are made of oak. Kommod develops and produces in the Bavarian Forest and also places emphasis on sustainability. In bathrooms, bedrooms or corridors, oak wood provides a timeless, warm look.